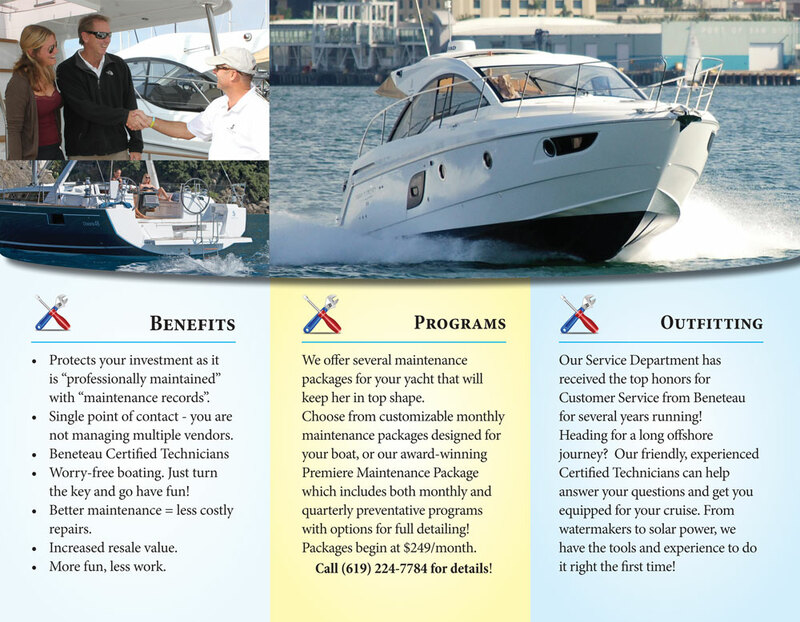 South Coast Yachts Service Dept. Welcome to our award winning South Coast Yachts Service Department! South Coast has been awarded the highest customer satisfaction scores from Beneteau America for the last five years in a row and also the 2016 overall North American Dealer of the Year, so you can rest assured that you will be taken care of by our team of marine professionals. Need a Beneteau part? Boat need service? Have a question? Please contact us! Everything you could possibly need for your Beneteau – if we don’t have it, we’ll get it for you! Please inquire about our popular Premier Maintenance Program.